On Tuesday November 13 Karl Spain and friends, Paul Marsh, Mike Morgan, and Katelyn Galvin, will take to the stage in the Róisín Dubh for the Comedy Karnival. Despite making a later in life arrival to comedy than most, Paul Marsh has made up for his late start by making a massive impact on the Irish comedy scene. Marsh wasted no time and rapidly racked up winners' trophies in some of Ireland's premier new comedy competitions, winning both the Tedfest Toilet Duck Award 2015 and the Capital Comedy Club Competition in Dublin. Marsh followed up his truly impressive start by going on to support some of the biggest names in Irish comedy including Karl Spain, PJ Gallagher, and Neil Delamere. 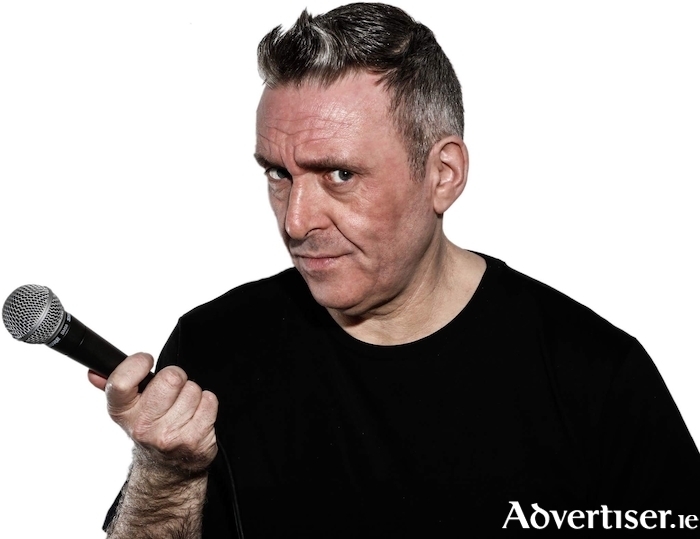 He has now been performing regularly at all the Irish comedy clubs for more than six years as well as being a Kilkenny Cats Laughs and Vodafone Comedy Carnival regular. He is now one of the most in demand acts in Ireland and increasingly in the UK. 'The future of Irish comedy is in safe hands' - Comedy Ireland. 'A rising star of the Irish comedy scene' - The Laughter Lounge. ‘Fantastic set! Great delivery and charisma on stage’ - The Stand, Newcastle. Mike Morgan is Cork’s fastest rising comedian. He just completed his sold-out debut tour Wise Guy with huge success and is the co-owner of Ireland’s new comedy club the Wonky Donkey. Massive things are coming from this fellow. Katelyn Galvin is a fast-rising star on the Irish comedy circuit and a talent who delighted audiences around Dublin and recently at the Vodafone Comedy Carnival, Galway. Hosted by the “achingly funny” Karl Spain. Tickets are €6 in advance from Róisín Dubh, www.roisindubh.net, or OMG Zhivago on Shop Street. Tickets are priced €8 at the door. Doors open at 8pm with the show beginning at 8.15pm sharp. Admission includes a free Jager and free entry to the world-famous Silent Disco after the show.